This weekend I went home to my parents' to help with the cleaning out of my childhood bedroom. My parents are getting ready to redo both mine & my sister's bedrooms to be more adult-like, guest bedrooms. I was happy to help with the remodel--considering Adam and I have been sleeping on bunk beds every time we head up north. Bunk beds!! I went through a trunk filled with items I had saved in Jr High and grade school. Mostly beanie babies. It was fun to look in boxes filled with school photos, old projects and assignments, and even school newspapers. I had old yearbooks, and lots of knick knacks ready to be packed away too. I found lots of treasures too that can finally make their way to the new house. I only unpacked about half a box so far...so here is just a small peak. What do you do with homecoming and prom flowers like...10 years (yikes!) after high school? Most of my bouquets in high school were fresh not silk. The few that were silk, were not too obnoxious... I snagged them and will maybe use them in a pot or something around the house. An example of the crap that was found in my "hope chest". 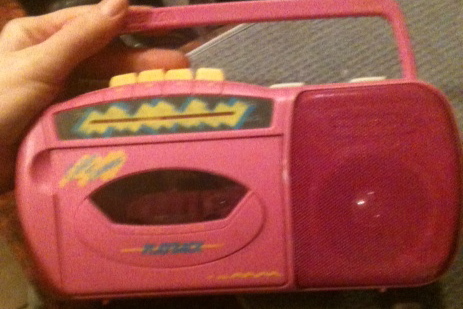 This pink radio which only played cassetes of the 90210 soundtrack, Janet Jackson, & Shanice nonstop. It was nestled in between beanie babies, my American Girl doll, POGS, and a report on the state of Missouri. IDK. Something not from my childhood made it home too. This came from my great Aunt Katie's house. She passed away last year and my dad saved us a few things to have to remember her. I will share the others with you later on the blog when I get them unpacked. This pitcher is a pretty green color and is the new table centerpiece for the week. I think I will put some fresh flowers in it in the Spring...or maybe a Homecoming dance bouquet in it for now? Is your childhood room still like it was when you left? Or did your parents redo it to a "guest bedroom" too? 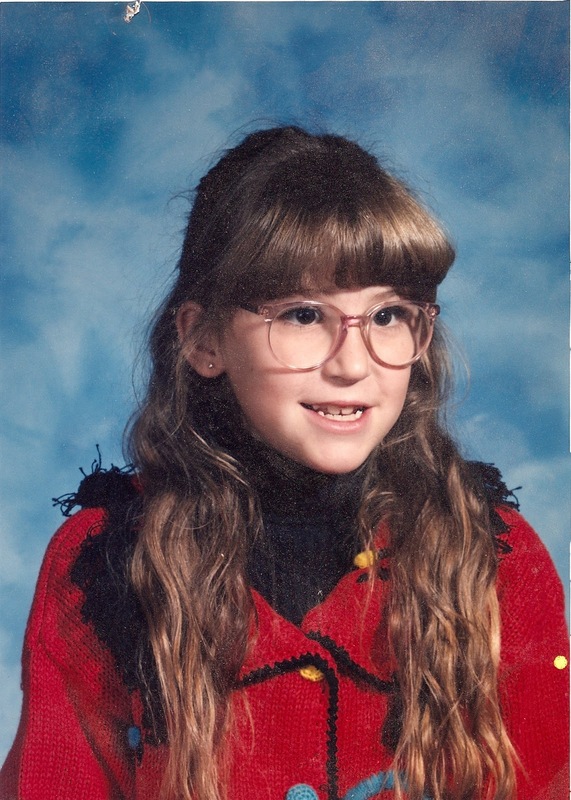 Anyone else have huge thick bangs to match their thick glasses in grade school? 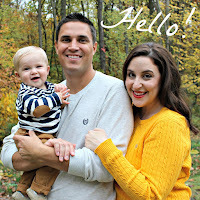 Don't forget to enter our giveaway HERE if you haven't yet! It runs through the end of this week! Omg the cassette player is too funny! I miss the 90s! My room was turned into a guest room a few years ago, which I was fine with! I live across the country now so there's no point in them hanging on to all my junk...my parents did bring me some stuff when they came to visit this summer, though. That picture is AMAZING!! LOL. I think the next week I moved out, my mom took my bedroom and turned it into a scrapbooking room. hahaha! In her defense, I had moved halfway across the country, so I guess it was within her rights ;). I find it funny to go through old boxes ... I end up saying, Why did I save this!?!? I love old photos. They make me smile. The pink radio made me smile hugely. Pretty sure I had that exact same thing! Man I LOVE a good nostalgia post!